In a digital world that was once only protected by PIN numbers, consumers now have more choices than ever to protect the security of their devices and personal data thanks to advances in biometric technologies. 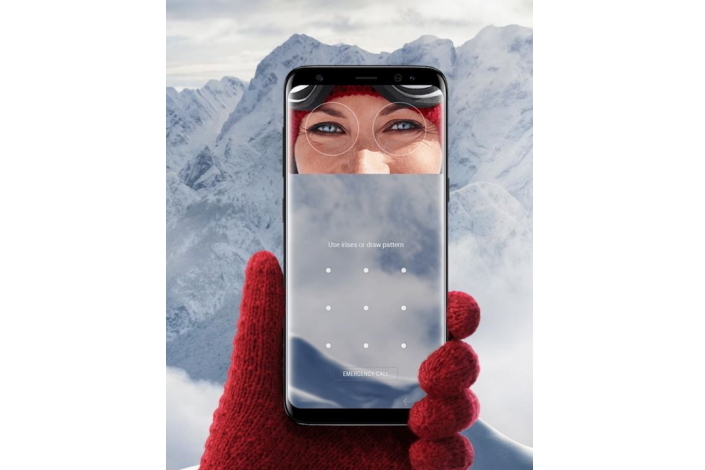 The Galaxy S8 and S8+ provide strengthened security features and enhanced convenience through a combination of biometrics, including innovative iris scanning technology, familiar fingerprint scanning and new facial recognition capabilities. Secured by Samsung’s trusted Knox security platform, the Galaxy S8 gives users the peace of mind that comes from knowing their biometric information is protected. 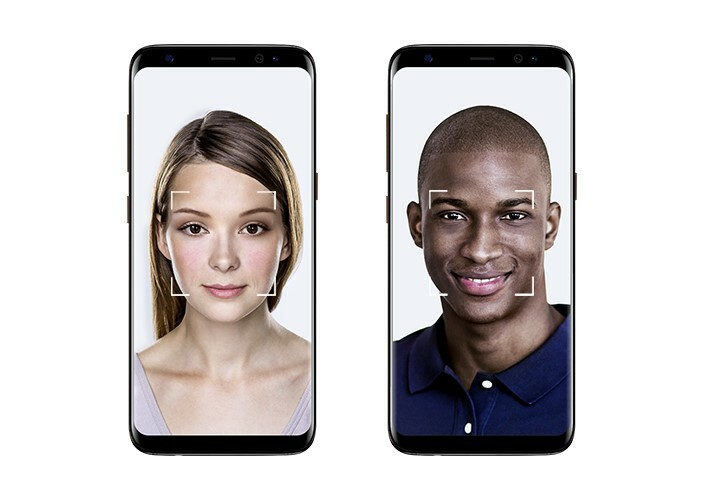 Samsung’s new facial recognition technology has been added to the Galaxy S8 to enable users to unlock their smartphone quickly and conveniently by simply looking at the front of the device. The technology works by utilizing an immense amount of data to recognize patterns, such as small differences in facial features. When a user opts to access their Galaxy S8 using facial recognition verification, the smartphone detects, aligns, extracts and compares facial landmark points such as the width of the user’s nose or the distance between their eyes to stored data to grant or deny access. As the user continues to utilize the feature more and more, the phone gets better at recognizing them, despite small changes in the angle or position of their face during the verification process. With this new feature, users can enjoy a more convenient mobile experience and also rest assured knowing that their data is encrypted in the TrustZone protected by Knox. Yet another biometric feature that has been added to the Galaxy S8 is iris scanning, a method of biometric identification that uses mathematical pattern recognition of images of an individual’s iris, either from one or both eyes. To obtain these images, an authentication device scans the iris—the thin, colored ring of the eye that regulates the amount of light that reaches the retina. Each individual has a uniquely different and highly intricate iris pattern in each eye, which is fully developed at a very young age and remains unchanged throughout one’s lifetime. This, combined with the fact that iris patterns are almost impossible to replicate makes iris scanning one of the most secure and reliable biometric techniques available. 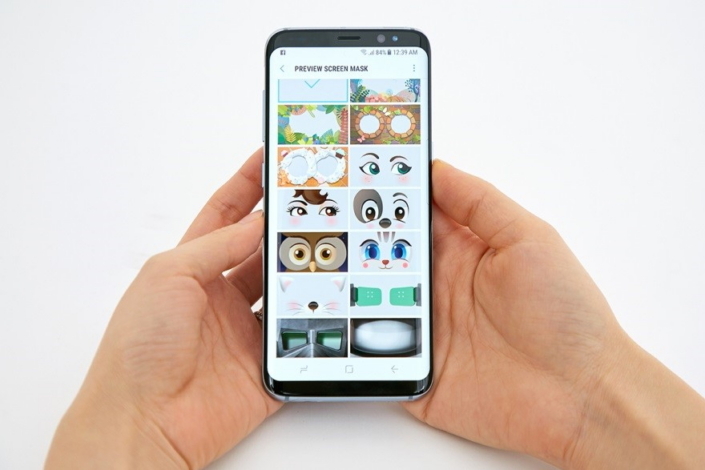 To enable iris scanning, the Galaxy S8 was equipped with a dedicated iris camera, which utilizes a special image filter to receive and recognize the reflected images of the irises with a red infrared (IR) LED light. This red light allows for the best range for iris scanning. Furthermore, unlike traditional visible (or RGB) images, which can be affected by iris color or ambient light, infrared images display clear patterns and have low light reflection. Samsung’s proprietary technology also makes use of the light emitted from the Galaxy S8’s display so the scanner can receive data even in low light environments. Once a user registers his or her iris information on the Galaxy S8, it is stored as an encrypted code. When a user attempts to access content, such as a protected app, the IR LED and iris camera work together to capture the iris pattern for recognition, and to extract and digitize the pattern, and compares the digitized pattern with the encrypted code to verify identification. Just like fingerprint and facial biometric data, the user’s iris data is also encrypted and stored safely in the hardware protected by the Knox platform. Furthermore, only one person can register his or her iris information, which means that even if the device is stolen or lost and someone else is able to gain access to the smartphone, the user’s information won’t be compromised. Compared to conventional devices that employ iris scanning, the Galaxy S8 offers a better user experience. The iris preview screen, for example, is displayed in full color, while 17 preloaded iris masks add a bit of fun to the verification process. Furthermore, Galaxy S8 users don’t even need to touch their phone to verify their identity since the iris verification process is initiated immediately once the user turns on the display. Leveraging Samsung’s new and enhanced biometrics technology, the Galaxy S8 offers various services to provide an additional layer of security. The first is Secure Folder, an encrypted folder that lets users manage private apps and files securely via PIN, pattern, passcode or biometric verification. Users may utilize this service to keep private and personal data, such as banking information, sandboxed separately on their smartphone for additional security and privacy. Another added security feature, Samsung Pass, enables users to quickly and easily log into mobile banking apps and websites on the Samsung Internet Browser using biometric authentication. Because users don’t have to spend time repeatedly inputting usernames and passwords, Samsung Pass adds an element of convenience to the Galaxy S8. By supporting multiple types of biometric authentication*, Samsung Pass will allow greater flexibility to deliver a secure and convenient user experience across multiple industry verticals. In addition to secure storing and faster access, Samsung is also establishing partnerships with major financial institutions to explore the integration of its biometrics verification technology into more mobile banking apps. 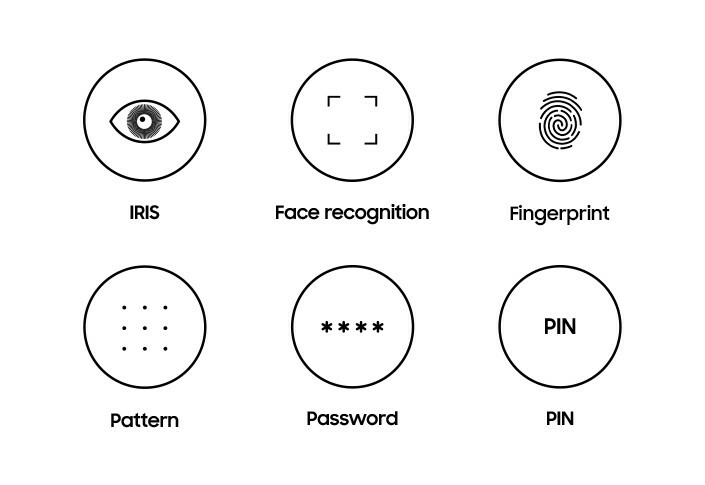 *Samsung Pass currently supports fingerprint recognition, and will support iris scanning and facial recognition in select markets in the near future.